This seems to be a common question. I see it asked often and I’ve been asked too with more regularity lately. Honestly I hadn’t really given it much thought before and lately I’ve been thinking about it more. I do know that the courage to write my first book came from Stephanie Meyer and the success she had with the Twilight Saga. The planning of it came from having a 45-minute commute twice a day with my kids when I started out bouncing ideas off of them, thinking it was a project we could work on together. But they were young and the idea only held their attention for a couple of drives, but that was all I needed, the idea formed, I was on a roll and the first draft was completed within 45 days. But I didn’t really know specifically where the ideas used in my book had come from. Until today. I was browsing through Pinterest and as I looked at some of the incredible photos, scenes for my current book started popping into my head, scenes I have not yet written. I then thought back to when I was writing my first book and I realized that it had been the same. Plus, the lyrics of certain songs had influenced the connections between some of my characters, in particular The Scientist by ColdPlay. 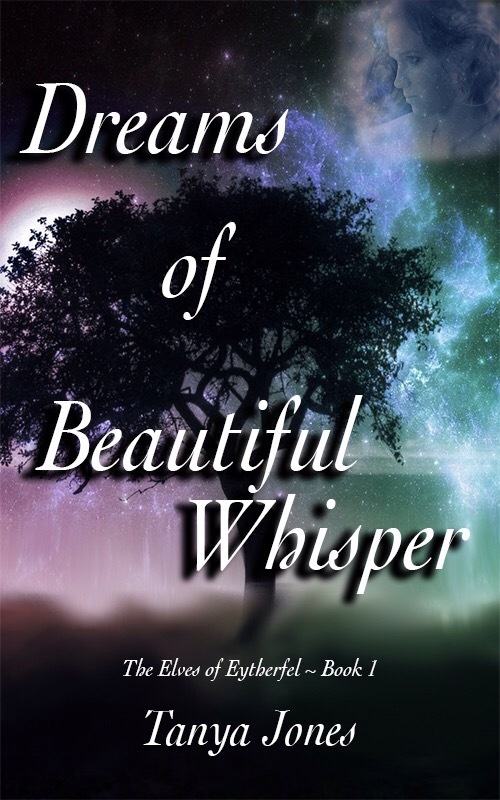 Though the video the artist puts to that song tells a very different story, the lyrics fit perfectly for Amanae and Caelsah in my book Dreams of Beautiful Whisper. So, though I hadn’t really consciously thought about it before, I know now, that my inspiration mainly comes from photos and music. And I’m glad I know this now because I had been stumbling a bit on figuring out some of the events that I wanted to take place in Book 2. That stumbling block melted away as I was browsing pictures. Being consciously aware of this I now know that I don’t ever have to worry about getting stuck in my writing process. I know exactly what I need to do to spur new ideas. Thank you to everyone who has been asking me this question, you just gave a new level of awareness to my writing! One other point on inspiration is the development of the personality of my characters. I do know that, that component came unquestionably from the amazing teens I’ve been surrounded by over the years. A few of my early readers have commented “what teenager talks like that?” And it always confused me because so much of my characters were based on teens I personally know. Then I started working in IT at my local high school where I was surround by a whole different world of teens – I now understand the confusion some of my readers have had and I realize how incredibly lucky I have been to have known so many amazing teens. The process of writing books is a wonderful and self-enlightening experience, but interacting about that writing with readers brings on a whole new depth and awareness – it’s incredible. Thank you!